We love how New York’s historical mashup of factories, businesses, places of worship, carriage houses, etc., means that modern living spaces often have unique and interesting former lives. 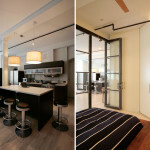 This Soho loft originally housed a printing press, and JENDRETZKI Architects was given the enviable task of transforming its hard edges and wide-open floor plan into a contemporary and functional home—although those who desire lots of privacy may not be so keen on some of the views afforded within the interior. 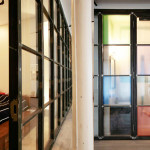 Borrowing heavily from the space’s industrial roots JENDRETZKI incorporated a steel and glass wall pixelated with varied color and transparency to carve out a slightly more traditional layout—at least in the sense that there are now rooms to speak of. But even with the living areas more clearly defined, the windowed walls maintain a sense of openness. The cavernous central studio/living room, assorted finishes and original columns remind you of the residence’s more humble beginnings. 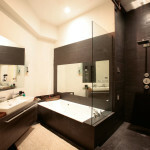 While we are not quite sure about the larger bathroom’s limited privacy (did you look closely at the main photo? 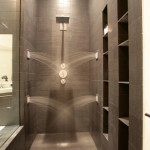 ), we definitely love the multiple sprays mounted on all sides of an expansive stone shower “stall” complete with built-in shelving for towels and products galore. 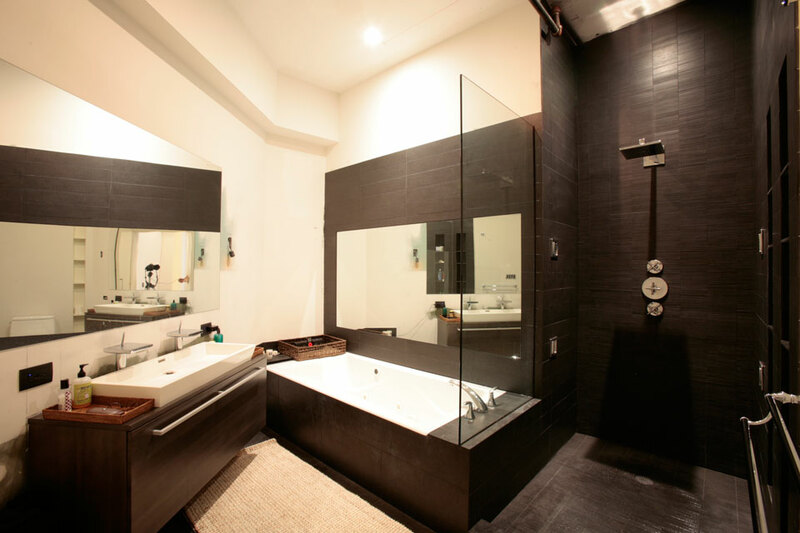 Thankfully, the shower, along with the rest of this gorgeously appointed bathroom, is hidden behind walls of a more conventional nature. With the kitchen’s retro seating and beautiful island lighting, it’s easy to see how the home’s overall design concept germinated from a high-end lounge in the Meatpacking District of New York City. 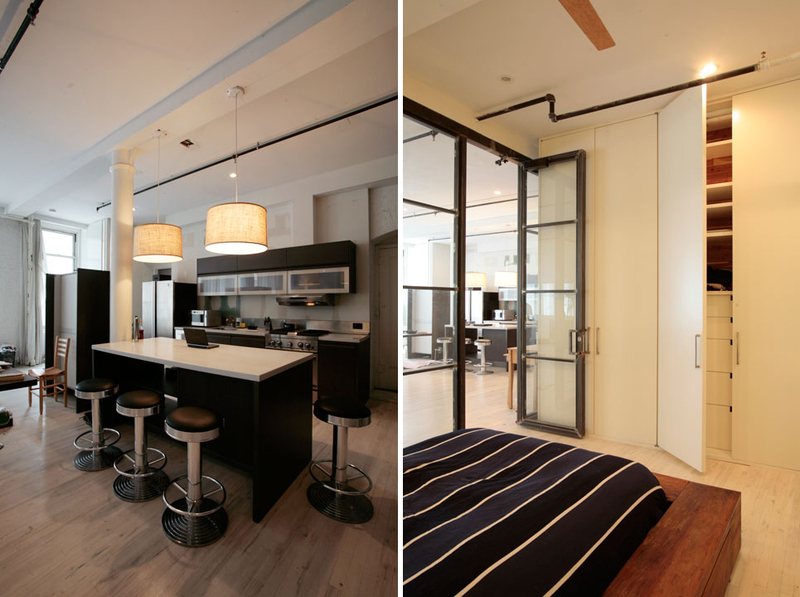 More pics of this fun and functional loft can be seen in our gallery below, and you can view more of JENDRETZKI’s eclectic portfolio of work here. Photos courtesy of JENDRETZKI PLLC.